Another week has passed and we are nearly 3/4 through January. So how are all your resolutions going? Managing to stick to them? I am just at the beginning, still formulating plans and ideas for the year ahead. 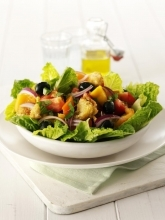 Check out our recipe section for quick and easy salad recipes, or sandwiches. These don't have to be popped in a lunch box. If you're working from home, or just fancy something different for lunch, then just take a look. Beware though, the images just might make you hungry! And don't forget to check out the Lunchbox World shop to see some quirky lunch gear. 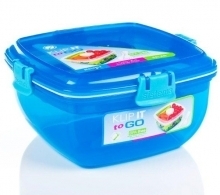 For instance, did you know we have salad lunch boxes? Salad To Go lunch boxes, so you can keep that dressing away from the salad until lunchtime, so you really can keep your salad looking its best...? So gone are the days of having lots of little plastic containers, each with a salad ingredient, now you can have a salad to go, pop all the items in separately, the sauce in the pot... and just assemble before eating. You really can enjoy that perfectly just-dressed salad whilst on-the-go. Salad To Go - Available at Lunchbox World - complete with cutlery! These even come with their own cutlery that tidies away afterwards. And they won't break the bank either! 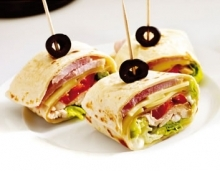 Have you a quick and easy or quirky lunch idea you'd like to share? Have a great weekend and try and plan ahead for the coming week! Lunch Box A-Z - C for Chic! Lunch Box A-Z - F for Fish, Frogs and FUN! Lunch Box A-Z - N For Navigate, New!